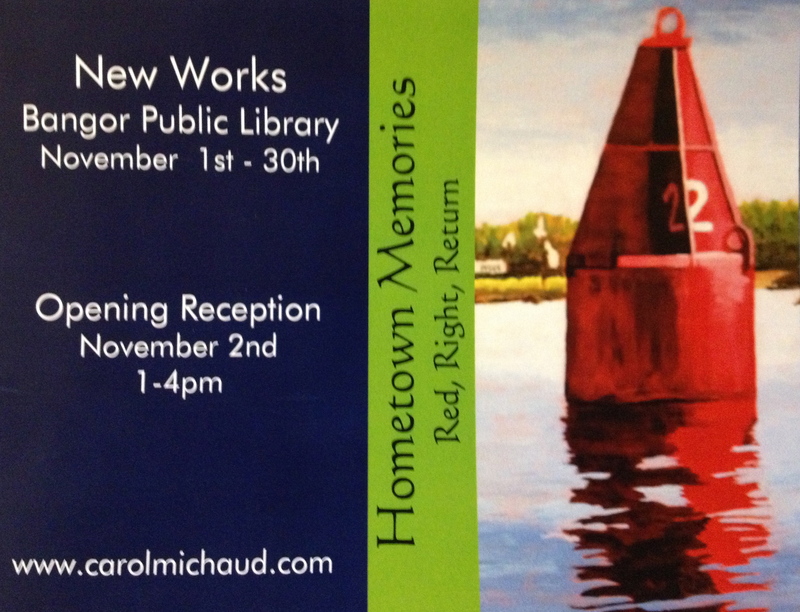 This show will be up at the Bangor Public Library for the month of November. Adding more new work all of the time-so much yet to go! Come by on Saturday if you can for some refreshments and conversation.